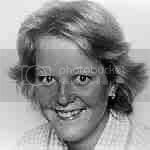 Deborah was last seen on 12 July, 1980 at the Tollgate Hotel, Parramatta. She was in the company of Gillian Jamieson (above, right) who is also a Missing Person. There are grave concerns for the safety of both persons. ON the 12th July 1980, Deborah Susan BALKEN and Gillian Janine JAMIESON, both aged 20 years, were last seen at the Tollgate Hotel, Parramatta. It is believed that both BALKEN and JAMIESON have met with foul play and are now deceased. and conviction of the person or persons responsible for the deaths of Deborah Susan BALKEN and Gillian Janine JAMIESON. Serial killer Ivan Milat has been named as a person of interest at an inquest into the deaths of two Sydney nurses more than two decades ago. Westmead Coroner's Court has heard that Gillian Jamieson and Deborah Balken were last seen in a western Sydney hotel in 1980. Detective Sergeant Ian McNab has outlined the police investigation into the nurses' disappearance in July 1980. He told the court the 19-year-olds were last seen at the Tollgate Hotel at Parramatta in Sydney's west. They later called a flatmate and told her they were in Wollongong and would return in several days. The coroner has formally found the teenagers are dead. Det Sgt McNab said Milat was interviewed about the case in 2004. Milat told police he was not responsible for the women's disappearance. Milat was convicted in 1996 of the murders of seven backpackers, whose bodies were found in the Belanglo State Forest south of Sydney in 1992 and 1993. He is one of six people police have named at the nurses' inquest as persons of interest. The coroner has recommended the case be referred to the unsolved homicide squad for further investigation. Outside the court, Det Sgt McNab said the case would indeed be referred to the "cold case" unit. "It's always frustrating if you can't solve a matter," he said. "We won't close this case we'll refer it to the state crime command unsolved homicides and it'll remain open." Deborah Balken's sister, Cheryl Balken, said the families needed to know what had happened. "I think it's almost 26 years, and you learn to live with what's happened," she said. "You never accept what's happened because they're still out there somewhere but it's never going to be closure until we find them." A SPECTRE hung over the deputy state coroner's finding that two trainee nurse's aides met with death by foul play when they disappeared 26 years ago that was all too familiar - that of Ivan Milat. Among the four chief "persons of interest" named in the disappearance of Gillian Jamieson and Deborah Balken, both 19, was Milat, who is serving a life sentence at Goulburn's Supermax prison for murdering seven backpackers. However, the deputy state coroner Carl Milovanovich wondered whether all the "bizarre coincidence of young persons going missing" could be laid at Milat's feet. "It may well be there is another serial killer out there, and [the perpetrator here] may not be Ivan Milat," he said yesterday, while offering his condolences to the Jamieson and Balken families. The officer in charge of the police investigation, Detective Sergeant Ian McNab, told the inquest, at the State Coroner's Court in Westmead, that he had interviewed Milat in 2004. He had shown him photos of the women, and a composite picture of a male suspect in a felt hat. Milat said that at the time he did not own such a hat, and said he had never met the women. The inquest heard that the two women, who had been school friends at Cumberland High School, often hitchhiked. One friend told police "it was not unusual for Debbie and Gill to go to places with people they hardly knew on a promise of a good time". They were last seen at a favourite pub, the Tollgate Hotel in Parramatta, on the night of July 12, 1980. It was a bikie hangout, and drugs circulated at the hotel. The inquest heard Balken might have been using heroin. Balken rang her flatmate from a pay phone. She said they were in Wollongong, and asked the flatmate to ring her and Jamieson's work after the weekend, to say they were ill and would not be in. A woman who worked in the snack bar at the hotel told police how she had been terrorised by a man who she recognised as having been speaking to the girls on the night they disappeared. Months after, he approached her at the hotel and said: "It was a terrible thing that happened. You know they're dead. The police won't find them. It'll happen to your two sons and then you." He threatened to cut her throat and "slit" her kids. She said she left work that night, never to return. She said the man wore a black felt hat with a large brim. She helped police prepare a composite picture of him without a hat. In the months after their disappearance more than 40 alleged sightings were reported to the police, stretching from Queensland to Victoria. Investigating police took seriously one reported sighting of two young women seen in a car in Parramatta soon after their disappearance. A teenager and her mother described two men trying to put jumpers on the women, who were limp and floppy. The teenager was hypnotised in 1998 as part of the investigation. The coroner said the case would not be closed, and would be handed over to the "cold case" homicide unit. He also asked that the Government offer a reward. The other main persons of interest named included two former fellow students from Cumberland High School. Peter King, who was involved in drugs, had been going out with Balken. The inquest heard that another former student, Peter Flood, who has served jail for sexual assault, was obsessed with Balken, and carries photos of the two women as part of his own "investigation". Also named was Michael Toomey, a gardener at Yallabi Nursing Home, who knew Jamieson and was in a group talking with the girls the night they disappeared. Balken's sister, Cheryl, said outside court that while the death pronouncement meant the family could now get a death certificate, she would not seek a certificate until her sister's remains were found. She and Jamieson's mother have given DNA samples to police. Backpacker murderer Ivan Milat may not have been the only serial killer preying on young people in NSW in the 1980s, an inquest into the disappearance of two nurses heard today. NSW Deputy Coroner Carl Milovanovich found that nurses Gillian Jamieson and Deborah Balken died a few days after they were last seen at Parramatta's Tollgate Hotel in 1980. The two 19-year-old women, who shared a flat in the Sydney suburb of Dundas, left the bar with a man in dirty work clothes after telling friends they were going to a party in Wollongong. At the time, Milat was working less than 2km away at the then Department of Main Roads. The 60-year-old is currently serving a life sentence for the murder of seven backpackers between 1989 and 1992. Detective Sergeant Ian McNab today named Milat as one of four men considered key persons of interest in the disappearance of the two nurses. During a police interview at Goulburn Prison in 2004, Milat denied ever having met the women. "He said he did not know them or about their disappearance,'' Insp McNab said, adding that Milat also told him he did not visit hotels and rarely drank. After hearing a police brief of evidence compiled over 26 years, Mr Milovanovich told Westmead Coroner's Court "it is a reasonable finding'' the women died soon after their disappearance. But there was not enough evidence to satisfy a jury that Milat was involved in their disappearance, he said. "Unfortunately, his name comes up in every missing person's case I deal with,'' Mr Milovanovich said. "None of the evidence really gets to the level that would be required of a criminal standard of proof ... (none of the evidence) would be capable of satisfying a jury. Given the number of young people killed around Sydney in the 1970s and 1980s, Mr Milovanovich said it was possible another serial killer was operating at the time. "There may well be another serial killer out there, it could well be someone else,'' he said. The inquest heard Ms Jamieson and Ms Balken had a history of hitch-hiking and experimenting with drugs. Sgt McNab said the women may have overdosed, or been murdered while hitching a ride. Alternatively, someone "known to the girls murdered them and disposed of their bodies,'' he said. In his findings, Mr Milovanovich referred the case to the Unsolved Homicide Unit and recommended a reward be reinstated for information about their deaths. "It does not mean that the investigation ends here, I will make sure that it doesn't,'' he told the distressed families of the two women. Outside the inquest, Ms Balken's sister, Sheryl Balken, urged anyone with information to contact police. Ms Balken said she wanted to blame Milat for the murders ``because then at least we would have found someone''. ''(But) there is no proof,'' she said. IVAN MILAT is expected to be named today as a prime suspect in the disappearance 26 years ago of two Sydney nurses - the third time since his 1996 conviction for the murders of seven backpackers that he has featured as a "person of interest" at a coroner's inquest. A deputy state coroner, Carl Milovanovich, will hear police evidence about the women, Gillian Jamieson and Deborah Balken, last seen at a Parramatta hotel in 1980. Milat was previously named at inquests into the disappearance of young women and couples from the North Shore and the Hunter dating back to the late 1970s. Unlike on those occasions, Milat, 60, will not be given a day out of Goulburn's high-security Supermax prison to give evidence. The parents and other relatives of the two nurses are expected to attend the day-long hearing at the Westmead Coroner's Court. Detectives are expected to detail for the first time undisclosed information on police efforts to find the women, who were both 20 when they disappeared. In 2001 Milat angrily denied at an inquest at Toronto Local Court that he was responsible for the disappearances of Robyn Hickie, 17, Amanda Robinson, 14, and Leanne Goodall, 20, all from Newcastle, who vanished separately in the Hunter in 1978 and 1979. In August he was named by police at an inquest before Mr Milovanovich as the person most likely to have killed the Berowra schoolgirl Michelle Pope, 18, and her boyfriend, Stephen Lapthorne, 21, who vanished along with their green van from northern Sydney in August 1978. Neither the vehicle nor their bodies have been found. For the past three years a team of Parramatta detectives has re-examined the disappearances of Ms Balken and Ms Jamieson. They were last seen with a man wearing a floppy black cowboy hat in a back bar of the Tollgate Hotel in Church Street, Parramatta, at 7.30pm on June 12, 1980. Detectives interviewed Milat a year ago inside the Supermax prison, where he is serving a life sentence for the abduction, stabbing and shooting murders of five women and two men in the Belanglo State Forest in the Southern Highlands between 1978 and 1992. Milat, who was working in 1980 at the Granville depot of the then Department of Main Roads, is understood to have been interviewed about his movements and vehicles he owned, including a lime green Valiant Charger sedan. As in previous investigations into other missing women or couples in which Milat has featured since 2001, police have been frustrated by the fact that no bodies have been found. Today's inquest is the first time the coroner's court will be asked to rule formally on the fate of Ms Balken and Ms Jamieson, who shared a flat at Dundas. The reopened investigation, headed by Detective Inspector Ian McNabb, examined whether Milat was the man in the cowboy hat and dirty work clothes seen talking to the women by a bistro worker at the Tollgate Hotel. 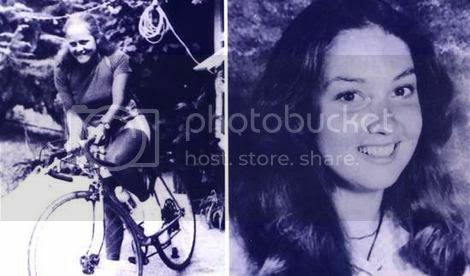 At the time Milat was living in Guildford with his mother. The women had planned to return to their unit, where another nurse flatmate, Susan Gilchrist, was to host a dinner party. But 90 minutes after the pair left the hotel, Ms Balken made a brief call from a pay phone to tell Ms Gilchrist they would not be home and were in Wollongong. Police were told at the time that Ms Balkan said she and Ms Jamieson had gone there for a party with a man she called the "gardener fellow" and asked Ms Gilchrist to tell their respective hospitals they were too sick to go to work and would not return for six days. Both women left full pay packets behind in their flat. In 2000 Milat was one of several suspects in a reinvestigation of the disappearance of five teenage girls and young women in Newcastle and the Central Coast. That inquiry by Strike Force Fenwick revealed there had been serious flaws in police investigations of many missing persons cases in the '70s and '80s, and that those matters had not been brought to the coroner's attention. After Milat's conviction for the Belanglo Forest murders and the abduction and attempted murder of an eighth backpacker, Paul Onions, police revealed that he was also the prime suspect for the unsolved murder of Peter David Letcher. The 18-year-old disappeared hitchhiking from Liverpool to his parents' Bathurst home in November 1987. His body was found in Jenolan State Forest. He had been bound and blindfolded, then shot in the head.